Strong Competitive Racing Fields for the Steve Bauer Classic presented by St. Davids Hydroponics. The Steve Bauer Classic p/b St. David’s Hydroponics is ready to roll tomorrow, expecting perfect weather and a stellar race field for Saturday May 21st in the Town of Pelham. Last years winners of the elite women and men’s races will return to defend their titles namely Leah Kirchmann of Liv-Plantur and Ryan Roth of Silber Pro Cycling. Team NCCH p/b DEC Express will bring one of the largest contingencies of riders with a solid and competitive youth component. Highlighting of some elite talent in the group is U23 Jonathan Lewis from Australia (racing as a stagier in canada) Jordann Jones (National Junior track team), Niagara local Brandon Etzl and Simon Fothergill for the men with Amelia Bell, Hillary Lowry, Kaitlyn Steeves rounding out the ladies roster. Kallisto FCV bp Toyo Tires brings a strong group of juniors. Riders such as Lucas Taylor, Chris Ernst with the men and Kassandra Kriarakis with the ladies promise to make these category races exciting to watch. The Centurion Next Wave coming from the North with a group of young juniors such as Matthew and Graydon Staples, Jake Allaire, Gavin Kerr, Cole Shumacher and Noah Simms in the men’s U19 and elite 1-2 and women elite 1-2 Ruby West, junior cyclo-cross national team member who competed at the Junior World cyclo-cross in Belgium last fall. The Canadian trade team SAS – Macogep – Acquisio propelled by Mazda from Quebec will be supporting 2014 winner Sarah Anne Rasmussen of Ancaster with three Quebec women elite 1-2: Beatrice Lesauteur, Luce Bourbeau and Adriane Provost. Real Deal D’Ornellas will be battling among the men elite 1-2 field with a strong team led by National Team pursuit team member Ed Veal. Morning Glory Cycling Club has the biggest group of racers from any club to make the trip to Pelham to compete fielding mainly a combination of Masters and Elite men. 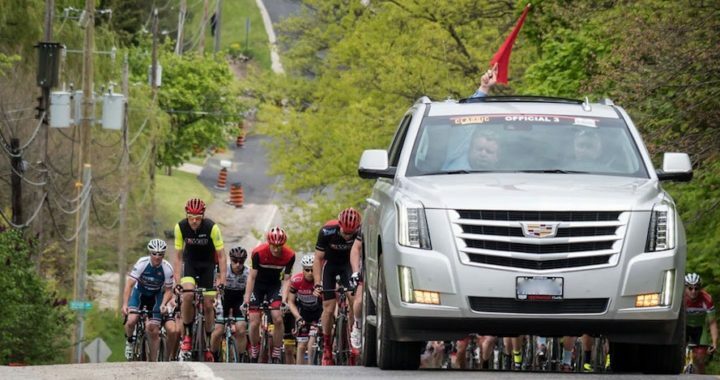 Noteable strongmen not to be overlooked are Canadian Master C Road Champion Ron Amos racing for Hammer 53-11 who will test himself with the Elite 1-2 and returning MM1 champion Steve McKee who tends to be top in all the races he goes for riders for Wheels of Bloor. Several other teams will be represented during the Classic. Just to name a few: B1 Evo, Beaches Cycling Club, Kurzawinski Coach – Bike Zone, MidWeek Cycling Club, Novo Fit-Compass 360 Racing, Liv Giant Toronto p/b Powerwatts, PHI Hotel Group / P-K Express, Rise Racing, Tower International, WASPcam, Waterloo Cycling Club and many others. In this year’s fields, 3 countries will be represented: Canada, USA and Australia under 3 provinces and 1 state: Ontario, Quebec, Alberta, British Columbia, and New York. We invite all locals, friends and family to come support and cheers these athletes on Saturday for a challenging competition.